Compared with the past several years, active listing volumes remain quite low. 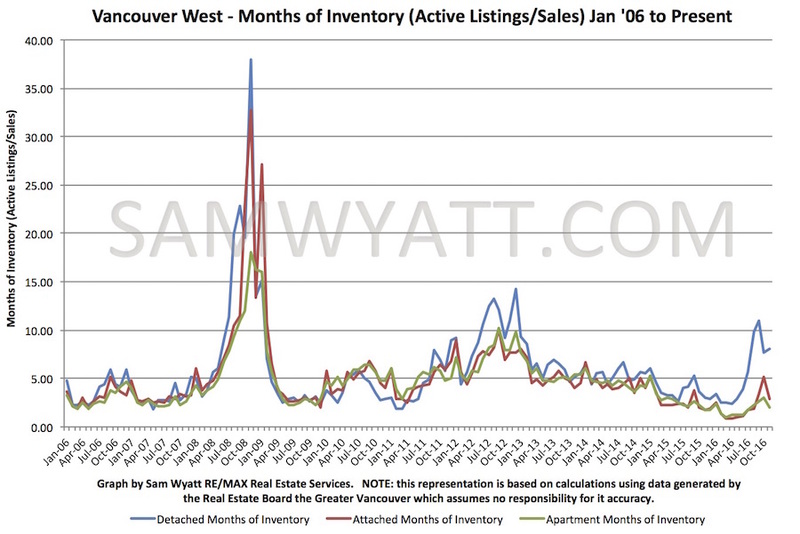 it is this lower active listings number that helped fuel the hot market we had this spring. 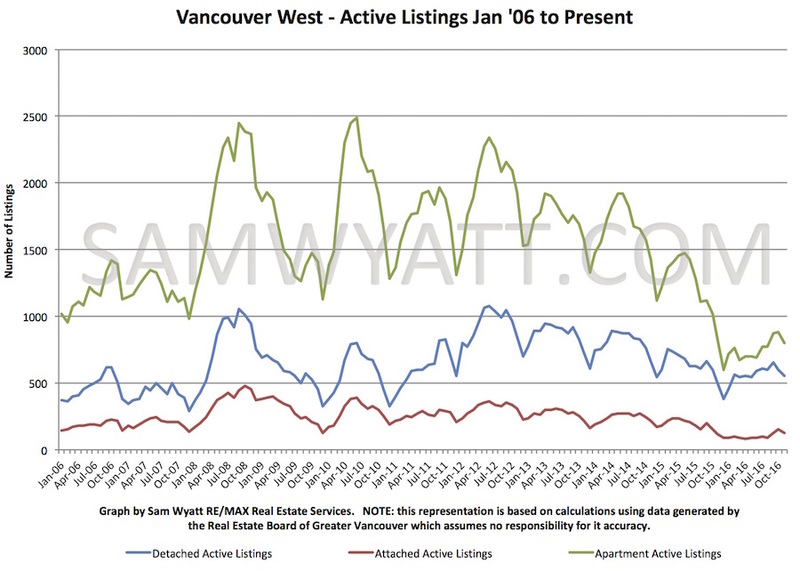 Active listings are certainly higher now than their most recent low point of January 2016. 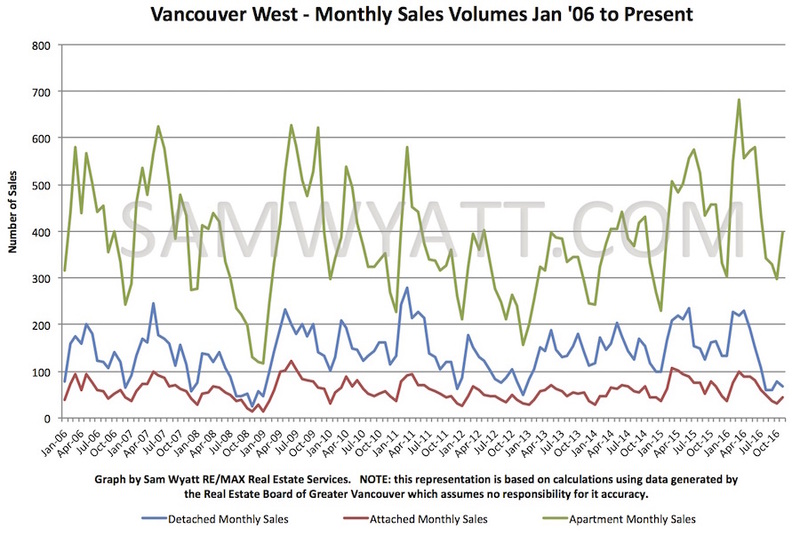 Sales volumes have rebounded slightly since October. Typically, at this time of year we see sales volumes continue to fall so the uptick in November may indicate some pent up demand by those who were waiting to see what the effect of the new Foreign Buyer's tax might have. My own experience is that I have many buyers waiting for an opportunity. 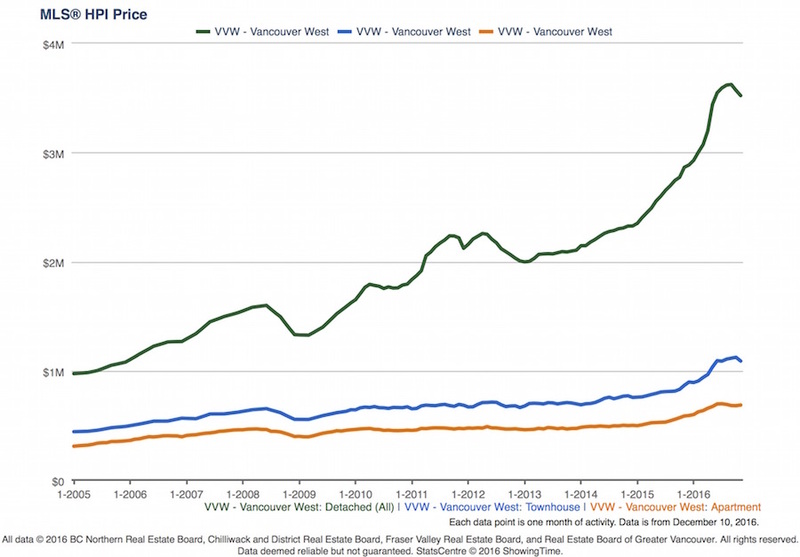 The Real Estate Board of Greater Vancouver's HPI Price for the Westside had prices falling slightly in November 2016. The average sale prices show that November had a little bit of a boost. Looking ahead I continue to see a week December and January with some resurgence in the spring market of 2017. Those of you planning to sell should be ready to list in February or March to maximize the benefits of the spring market. 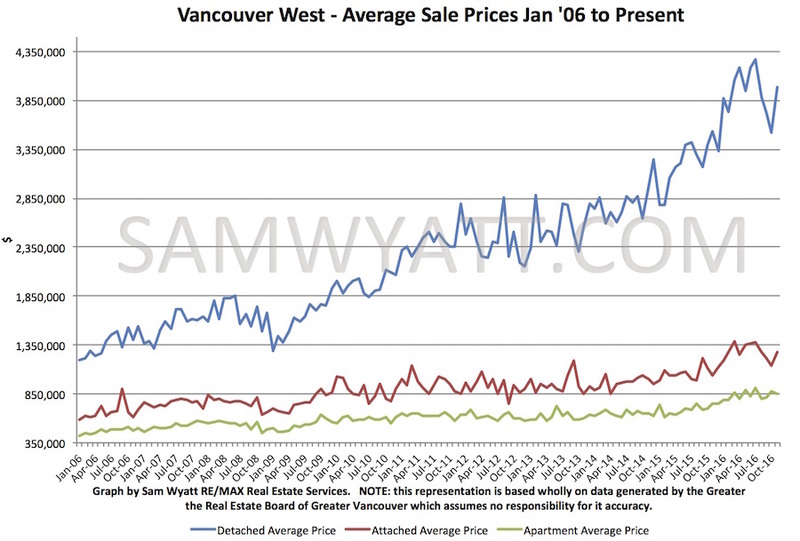 For buyers, you should be looking for good deals now and January as many listings stagnate into the new year.